No fewer than a dozen foreign correspondents working for US American newspapers and news agencies and many established and emerging authors as well as hundreds of American physicians spent extended periods of time in Vienna and Austria in the 1920s and 1930s. The study of their published reports and the literary estates of many visitors (including their correspondence with friends and their journals) helps to discover extended networks of friendships. Their accounts show that most of the American visitors continued to perceive Vienna after the collapse of the monarchy, and despite recurrent political crises, culminating in the tragic Civil War of 1934, in conformity with stereotype notions rooted in the 19th century, as a Mecca of Medicine and Music, and as the city of café culture. Austria was thus in the reports in newspapers and accounts of the news agencies for a transatlantic public mostly presented in a positive light. The close contacts of a multitude of visitors with members of the local elite, often with Jewish backgrounds, inspired many a roman-à-clef, fictional narratives, poems and also plays, adapting popular local material and traditions (Thornton Wilder). While many visitors took an interest in the theory and practice of psychoanalysis, which they applied in their own lives (H.D. ), or benefitted from the advanced medical school of Vienna, even authors who had not yet visited Austria (Joseph Freeman) were able to imagine plots centered on the city and its environment by tapping the rich detailed material provided in the media and designing a densely depicted Viennese setting. The friendships which had developed and the networks thus established were also of great importance for quite a few Austrians who fled into exile after the catastrophe of the Anschluss. 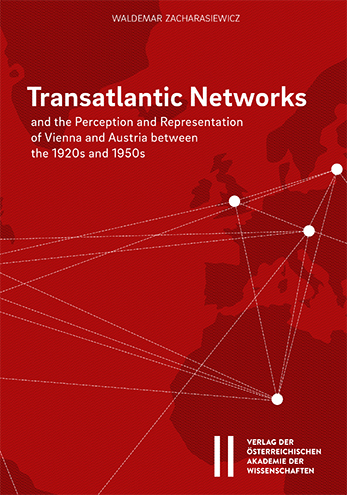 The experiences of that cohort of transatlantic visitors and the predominantly positive image of Vienna and Austria re-emerged after the end of World War Two and continued to exert an influence until well into the 1980s.